Warminster RFC was founded in 1977. At the time it consisted of two senior squads and a fledgling Mini's and Juinor Section. Then, and over the intervening two decades the club played all its rugby according to the grace and favour of the military, using the pitches in the local base in the town. Its social aspect was catered for by various local hostelries, which provided a "home" for the playing membership in terms of post-match food and getting together. After a long period of nomadic existence during its formative years the club strove to bring all its activities under one roof, and entered into negotiations with West Wilts District Council to bring about a move to a suitable site. A period of protracted dialogue ensued but in 1997 the council had prepared a multi-sports site on the fringes of the town with Warminster Rugby Club as the primary user. The club now leases this on a sixty year basis (until 2057) for a peppercorn rent. In taking up the lease, the club also made a commitment to install suitable facilities to sustain the sporting activities on the site. At the time the club still consisted of two senior teams, but the Mini's and Junior element of the club had greatly expanded to cover all age groups from U7 right through to U16, so this was a major breakthrough and a huge step forward. The Club then set about honouring its commitment to get a meaningful facility on site and to bring other sports on board. In 1999-2000 it made preparations to apply to Sport England for a lottery grant to bring a "large scale" development to Folly Lane. Many other sporting clubs and schools put down their support on paper to give weight to the application, but in the final analysis, despite an award of Â£40k from the FSA, at that time the Club failed to secure the 35% stake necessary to facilitate a bid. This was in the main due to lack of support for the size and scope of the building from the local community and councils. Having failed in this regard, the club brought the existing temporary changing facilities to Folly Lane in 2001 as an interim solution and these at least allowed it to be self-sufficient and engage in matches and training on a much more appropriate footing. At this time though the senior playing squad had shrunk so that only one team was wearing the amber and blue jersey on a Saturday afternoon, but the Mini's and Juniors continued to thrive. It was a welcome turn of events then in 2002 when the club was approached by an outside investor wanting to bring a centre of excellence for squash and rugby to the site, which incorporated tennis, running, badminton and a gym. After due deliberation, the club decided that this was a great opportunity for the club and community and worked towards bringing it to fruition. After five years of stop and start progress and, again, little support from the Town and District Councils because of the size and scope of the facility, the project eventually floundered and died after negotiations over the sale of the lease broke down. Thus in September 2007, after years of frustration the club and its members made a firm commitment to bring a meaningful, but scaled down facility to Folly Lane. This has unanimous support from all councils involved and the local community. Here in 2008 then, our one senior team plays in Dorset & Wilts Division 1 (South), with a squad of 22 players. The years have been hard on this end of the club, with many other clubs in close proximity who have been able to offer better facilities and thereby better sporting opportunities to the playing fraternity. This has caused a recruitment and retention problem, which has impacted badly on the club's ability to maintain and sustain a competitive squad, let alone develop it. The singular lack of a focal point for the club, well equipped for training and playing purposes, is the main cause of this drain. Whilst there will always be the playing resources to field a representative side, under the current climate, there is little or no hope of moving forward and developing. On the other side of the coin, the Mini's and Juniors side of the club is flourishing. There are currently all age groups being coached and the club has over 160 playing junior members turning out to play or train every Sunday morning. Accompanying those though are their parents, and on match days, the opposition children with their parents, all of whom are subject to the high impact of hugely inadequate infrastructure. Whilst this doesn't appear to cause any recruitment or retention problems it is a wholly unpalatable situation for the club to have to manage. other peripheral users of the site. In terms of future aims then, the one at the forefront of every agenda is to install a focal point to deliver the best opportunities for participation in rugby and other sporting endeavours at Folly Lane, which also accommodates the social aspect of the club, which in turn will generate income to support further development of the club and its outputs in due course. On the senior playing front the club hopes to re-invigorate the membership by tapping into the garrison rugby playing fraternity, given that they are based here permanently. It is hoped that numbers will also be boosted by players filtering through from the colts team, which comes into being next season. Our short term aim is to field two teams next season. Longer term we hope to sustain this status quo and maintain our position in the league structure, which is laudable for such a small club. From a Mini's & Juniors perspective, the club intends to continue to comply fully with RFU best-practice guidelines by having all our coaches qualified at level 1 standard, thereby ensuring that the standard of coaching we give is high. Maintaining teams in age groups all the way through from U7 to U16 is also a high priority, as is the inception and continuation of a colts team. The other major development afoot is the forming of a ladies team. At present a number of Warminster based ladies travel to Trowbridge to play their rugby. Now that a permanent garrison exists in Warminster, there are a number of army girls who are available to play for the club. Combining the two elements would bring together a team and that formation is currently in the planning stages. On top of this the comprehensive school in town has started a girls team made up from U13-U15 age ranges. These are currently coached by school staff, but helped by boys from Warminster Rugby Club. As the club has strong links with the school (our chairman is based there as the regional Sports Development Officer) it is anticipated that the squad will migrate to the club in the near future. Taking the club as a whole, the overarching aim will be to continue to foster and promote participation in the sport of rugby for anyone, at whatever age, who wishes to enjoy it, regardless of circumstance or time. Within that mission statement, the club has placed a very firm and specific statement of intent to its members bring a long overdue, functional but meaningful, sustainable building, which caters fully for the throughput of numbers using the ground and which will allow Warminster RFC to compete on a level par with all its neighbours in fulfilling its strong commitment to sports development in the town and local community. In terms of general day to day running, the club operates under a constitution (attached) and was founded and still exists under the auspices of three trustees, who oversee any major change in club direction in terms of assuring the good and benefit of the members It is they for example who signed on the dotted line when committing the club to the long term lease at Folly Lane. 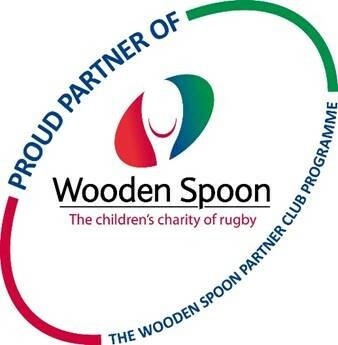 In terms of membership, the club consists of a President (The Marquess of Bath), Vice Presidents x 12, a Chairman, Secretary, Treasurer, Fixtures Secretary, Social Secretary, 1st XV Captain and M&J Chairman (the current committee, which is also mimicked at M&J level with the addition of a Child Protection Officer), 12 age group coaches, 22 senior players and over 190 children and their parents by association. The seniors and M&J's play and/or train every week and/or weekend, with matches played against other teams from Wilts, Dorset and Somerset. Indeed on Sunday 30th March, the club will hold its annual Minis Festival with 8 clubs, comprising 720 children taking part. Unfortunately, this has yet again to be held at the Army Camp and not at Folly Lane.